The upcoming fifth season of Broad City, set to begin airing in early 2019, will be the show’s final season according to Deadline. 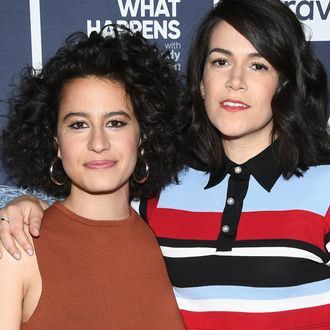 On the bright side, creators and stars Ilana Glazer and Abbi Jacobson have also signed a development deal with Comedy Central, giving the network a first look on all content created and/or developed by the duo. This includes other networks under the Viacom umbrella. Glazer and Jacobson already have three projects in development at Comedy Central: Mall Town USA, Platinum Status, and Young Professionals. They serve as executive producers on Mall Town USA and Young Professionals, while Glazer is one of the executive producers on Platinum Status, a show written and starring her brother Eliot Glazer.